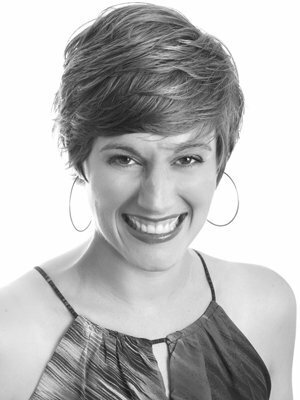 An active collaborative musician, mezzo-soprano Megan Roth has performed with several renowned national ensembles including Seraphic Fire, Vox Humana, Yale Choral Artists, Cincinnati Vocal Arts Ensemble, Skylark Vocal Ensemble, and Boston Baroque. In the 2014-2015 season she joined the roster of Grammy-winning ensemble Conspirare. Known for her “rich character portrayals” and “versatile voice,” Megan is equally at home in opera, oratorio, and art song. Most recently, Megan performed in Little Women with MetroWest Opera and was praised for her “warm and sonically sumptuous Meg.” Other recent engagements include: soloist in Bach’s B Minor Mass and Gretchaninov’s Passion Week, both with Bach Chorale Singers of Lafayette, IN; guest artist in Handel’s Per te lascai la luce with Indiana University Contemporary Dance Theatre and Nugent Dance at the Indianapolis Museum of Art; soloist in de Falla’s El amor brujo with New Hampshire Music Festival; and soloist in Handel’s Messiah with Rhode Island Civic Chorale and Orchestra. Megan was a 2014 finalist in The American Prize Competition’s Chicago Oratorio Award and Opera Division categories. On the concert stage, Megan has been the soloist in Mozart’s Vesperae Solennes de Confessore with Pioneer Valley Symphony and Chorus, Handel’s Messiah with Commonwealth Opera and Marblehead Festival Chorus, Vivaldi’s Gloria with Rhode Island Civic Chorale & Orchestra, Vivaldi’s Magnificat with Concert Singers of Greater Lynn, Mozart’s Regina Coeli and Credo Mass with Mystic River Chorale and Orchestra, and in Haydn’s Missa Cellensis, Zelenka’s Magnificat, and Preatorius Puer natus in Bethlehem, all with the Marblehead Festival Chorus and Orchestra. Ms. Roth holds an Artist Certificate in Opera and a Master of Music in Vocal Performance from Florida State University. Ms. Roth is also an accomplished violinist with a Bachelor of Music with honor in Violin Performance from DePaul University. She is the founder and artistic director of Calliope’s Call, a professional art song performance group based in Bloomington, IN, which travels the country presenting unique and exciting programs of art song.